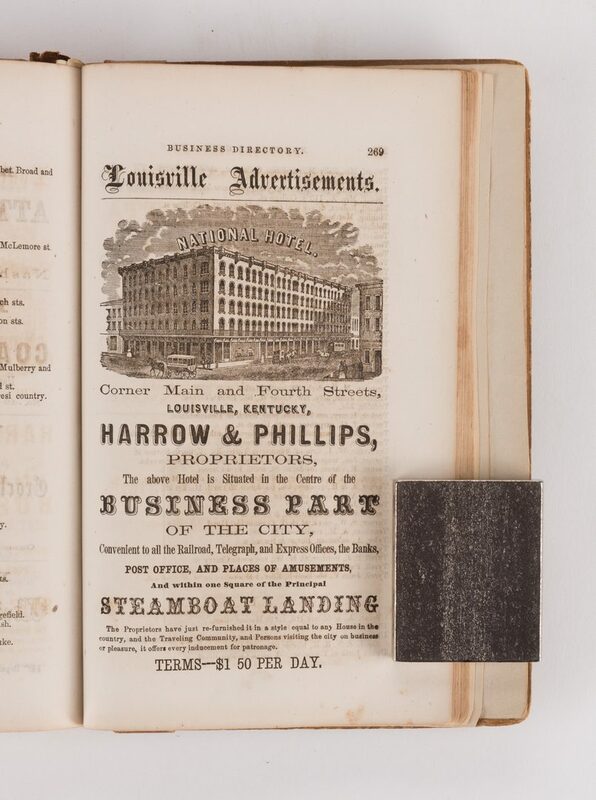 Seven (7) Nashville business directories, including three compiled by John P. Campbell. 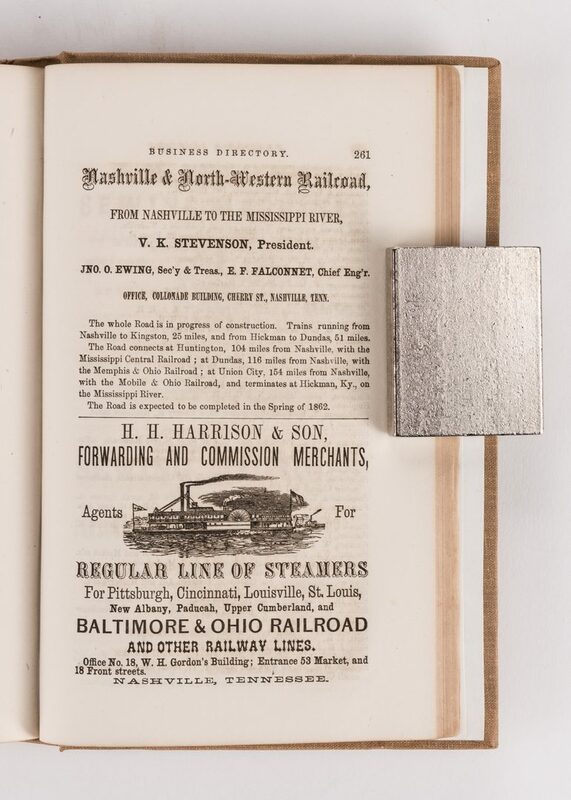 Each directory includes advertisements, listings, engravings, and text pages for local businesses located in the city of Nashville, TN. 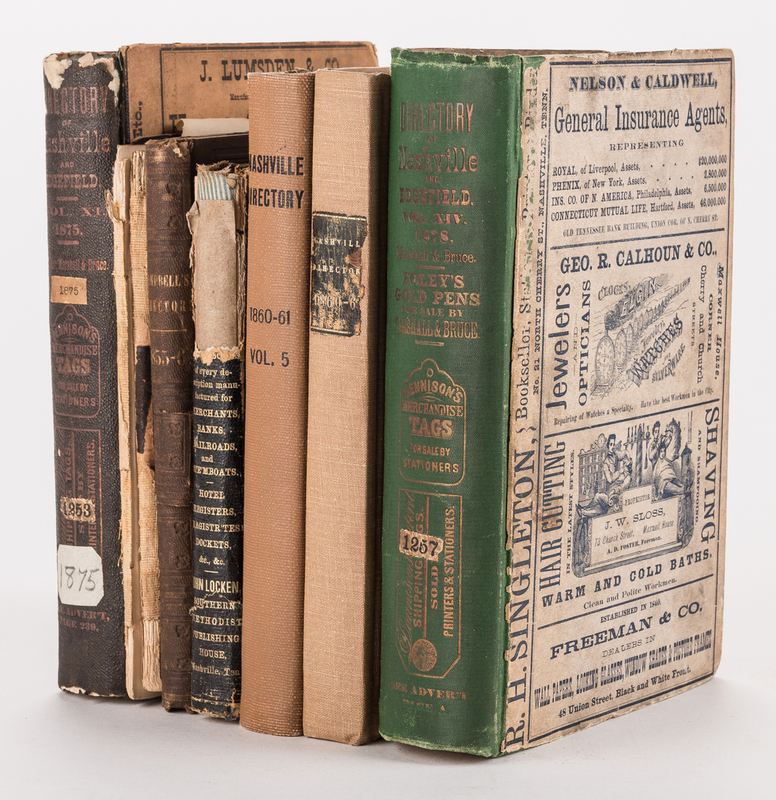 Three compiled by the Reverend John P. Campbell, one copy dated 1859, two copies dated 1860-61, one compiled by George H. Rogers, one copy dated 1878. 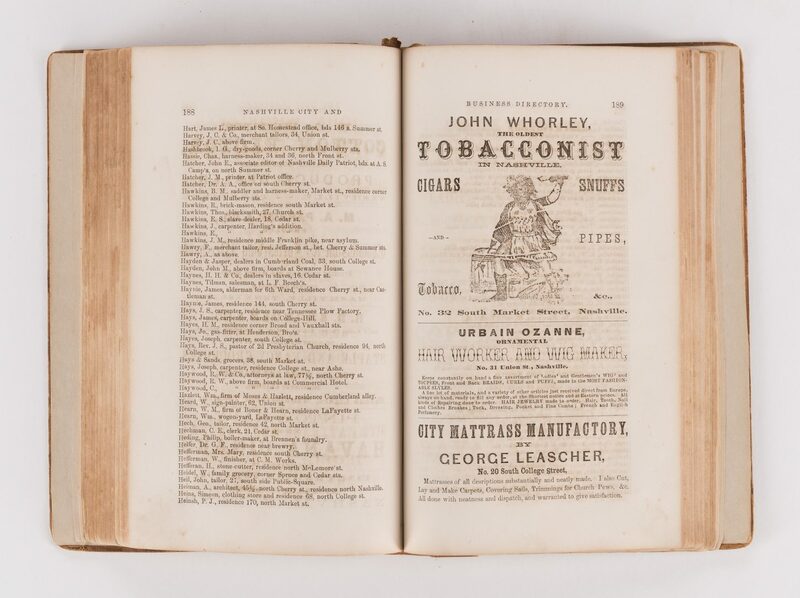 Also included are two copies dated 1860-61, one copy dated March 1975, no compiler listed. 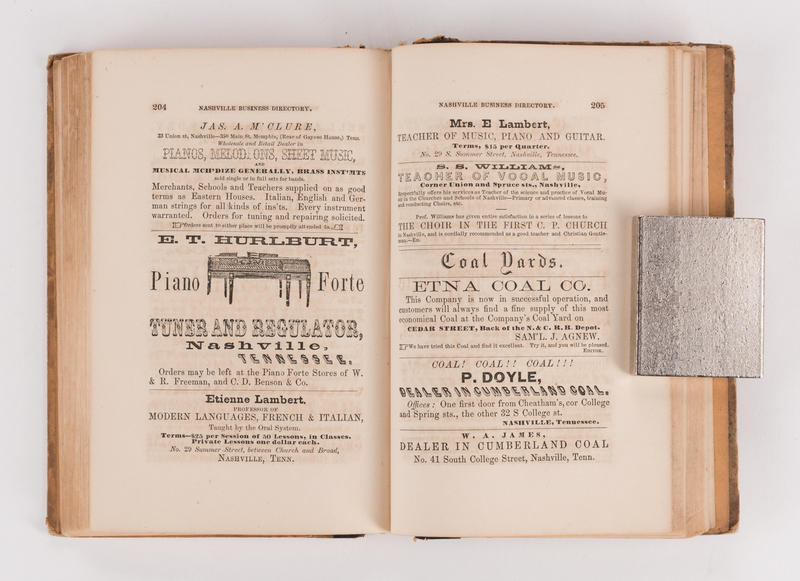 Octavos, hard bound with paper or cloth covered boards [see condition report]. 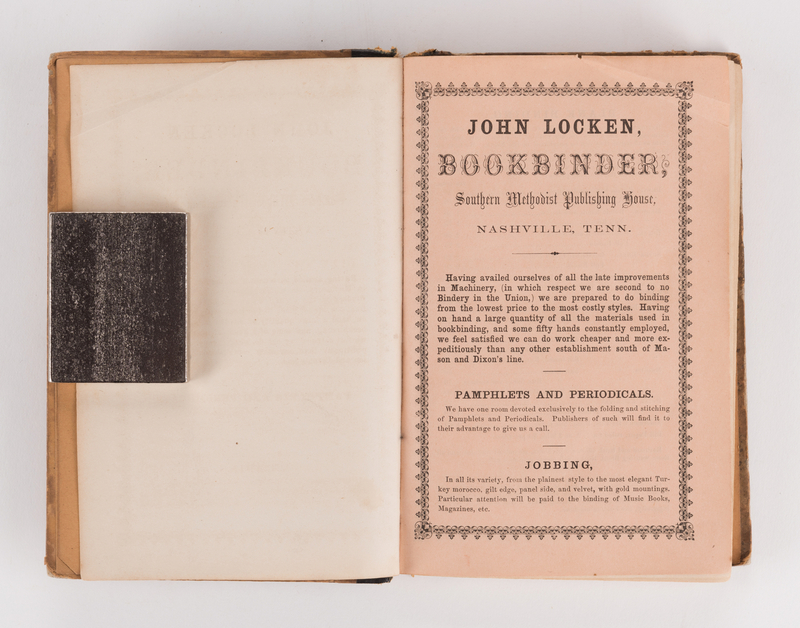 Books range in size from 8" H x 5 3/8" W x 5/8" D to 9 1/8" H x 6 1/8" W x 2" D. Provenance: The estate of Dr. Benjamin H. Caldwell, Nashville, Tennessee. 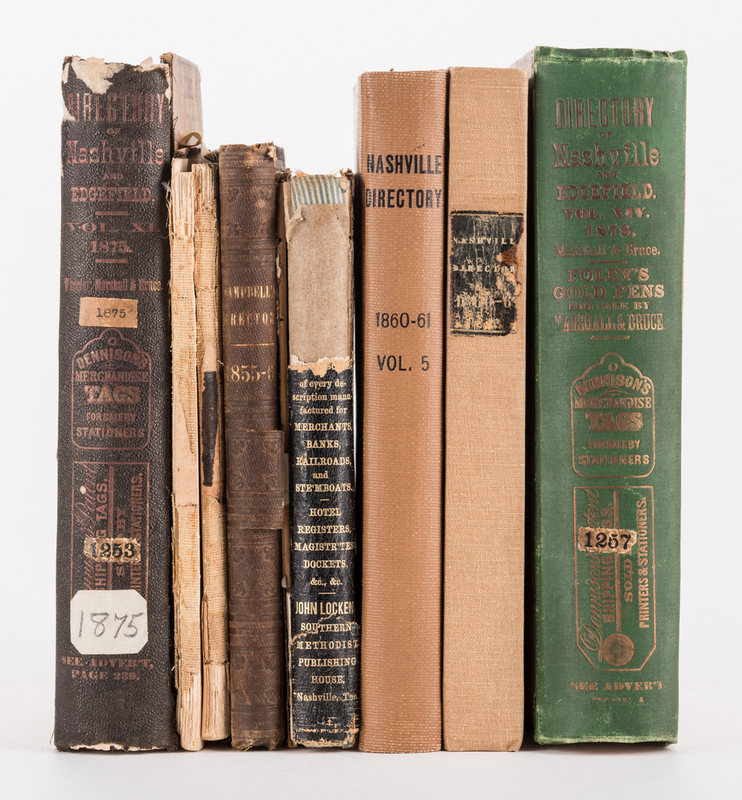 CONDITION: Books in overall worn condition. 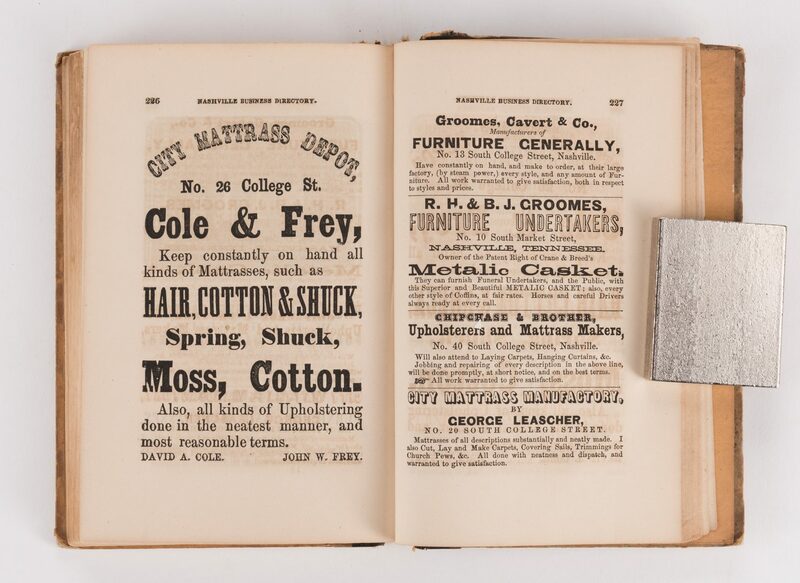 Covers and sheets exhibit toning, foxing spots, stains, tears, to be expected from age. 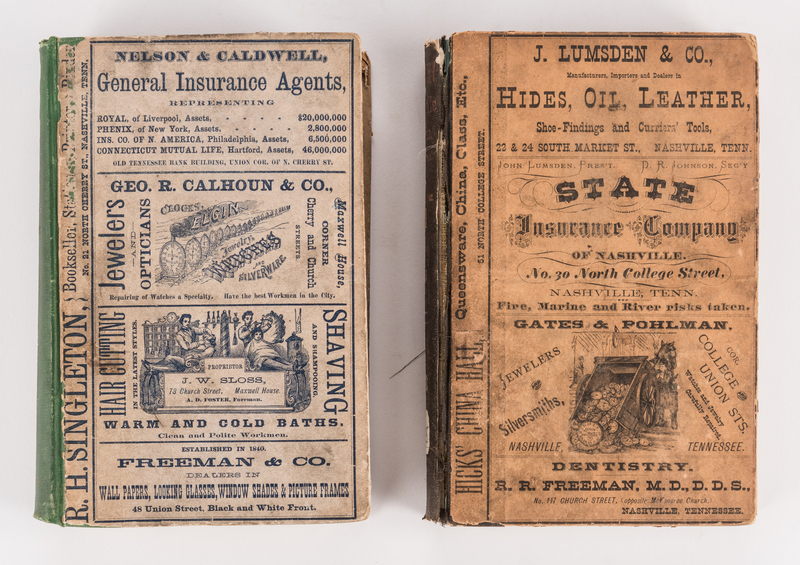 Two Campbell copies dated 1860-61 retain brown cloth boards with tooled covers, one with spine and gilt title lettering mostly intact, one missing spine. Five paper covered boards rebound in modern materials. 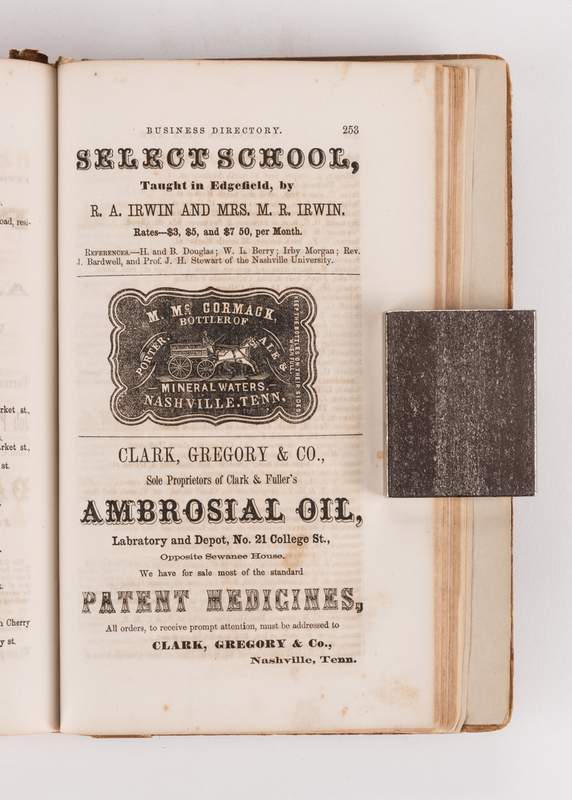 Ex libris labels and stamps, interior of covers and edges of sheets.